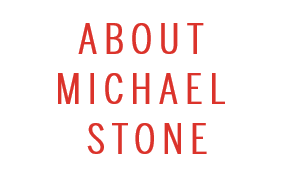 Michael Stone serves as chairman and co-founder of Beanstalk, a leading global brand licensing agency that is a part of Omnicom Group. He is also the author of The Power of Licensing: Harnessing Brand Equity (Ankerwycke, 2018). 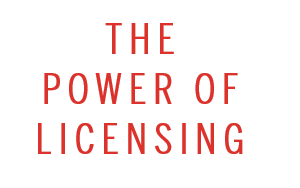 Michael has been instrumental in driving the evolution of licensing from primarily an entertainment marketing tool to a highly effective corporate marketing and communications tool used by many of today’s Fortune 500 companies. Michael has been a leader in all facets of licensing, developing brand extension programs for major multinational corporations as well as celebrities, sports and entertainment properties, including retail exclusive programs devoted to specific licensed properties. Under Michael’s leadership, Beanstalk has been responsible for some of the most successful licensing programs of all time, including programs for Harley-Davidson, The Coca-Cola Company, Procter & Gamble, AT&T, Ford Motor Company, Stanley Black & Decker, the U.S. Army, and HGTV, among others. Additionally, he and his team conceived and implemented the ground-breaking and highly successful Mary-Kate and Ashley global fashion and lifestyle program, which achieved over a billion dollars in worldwide retail sales from 2000 to 2009. Today, Beanstalk continues to represent Procter & Gamble, Stanley Black & Decker, and the U.S. Army, as well as many other world famous clients, such as Diageo, Godiva, TGI Fridays, Energizer and Microsoft Studios. Michael and his agency are the recipients of 23 awards from the Licensing Industry Merchandisers’ Association (LIMA) for excellence in licensing. Michael is a widely sought-after authority on licensing and is frequently cited in Advertising Age, USA Today, The Wall Street Journal, Bloomberg News, The New York Times and other top print and broadcast media outlets. Michael is a frequent contributor to Forbes. Michael has served as an adjunct Professor of Brand Licensing at Baruch University School of Business and Long Island University Post and has been a frequent guest lecturer on licensing at Boston University School of Management, Babson University, Baruch University, The Wharton School of Business, and F.I.T., among other institutions. Michael was one of the founding Directors of the Long Island University Post Institute for Branding and Licensing. He is also a Member of the Board at Year Up New York, a non-profit organization helping young adults cross the “opportunity divide”. Michael earned his Juris Doctorate from Emory University School of Law, and graduated from Hamilton College with a Bachelor of Arts in Government.